Brothers of the Taizé Community will be at World Youth Day in Kraków in July 2016. Brother Alois will be there from July 26-31. From Monday 25 to Friday 29 July, times of prayer with the songs of Taizé will be led by the brothers in Kraków, in the St. Szczepan Church, ul. Henryka Sienkiewicza, 19. Between the services, the church will be a place of silence and welcome. Brothers will be present to welcome the young participants and listen to those who wish. In the program preceding the WYD, for young people welcomed in the Bielsko-Żywiecka diocese, brothers will lead prayers in the town of Oświęcim, where the Auschwitz concentration camp is located. 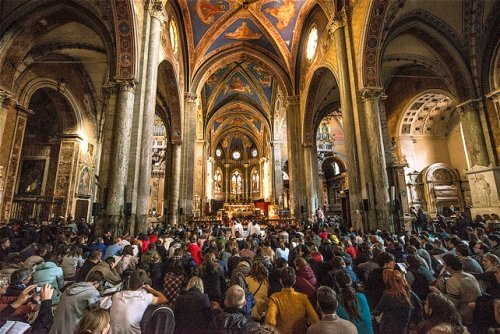 Groups going to the WYD in Krakow can stop in Taizé either before or after the event.